I believe as digital experiences become more prevalent, the intimacy of a paper book becomes more valuable and meaningful. 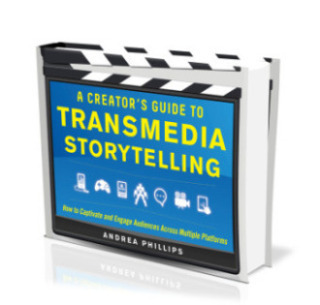 Transmedia Storytelling will make the book more precious. More than a brand extension, transmedia storytelling is an opportunity for storytellers & publishers to engage fans, build communities & create multiple revenue streams on multiple platforms - all connected by single story world (universe). This is the future of children's publishing. Editors, designers, illustrators, writers, marketers, librarians, teachers and fans co-creating connected stories built around communities offering content 24/7. In order to participate and prosper in the 21st century, kids will need to develop a new range of digital skills (literacies). These new digital literacies being developed by educators & librarians now, can act as entry points into transmedia stories. 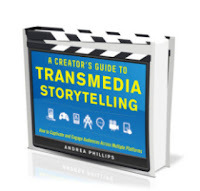 I don't believe Transmedia Storytelling dilutes the story, it makes the book experience that much more precious. We're already seeing this. Paper books sales remain steady as mobile keeps exploding. It's not either or, it's and. Holger Volland, describing this 360 degree exploitation of content as one of the 3 Publishing Megatrends. 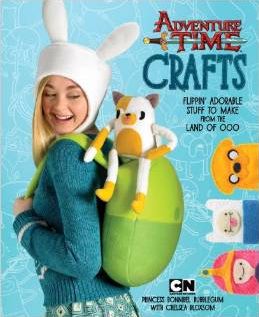 So many Adventure Time fans pinned & made crafts that there is a new craft book being published in October 2014 by Potter Craft: Adventure Time crafts: Flippin Adorable Stuff To Make From The Land of Ooo. Fans want to be able to engage with a story everywhere. Educators & Librarians are embracing transmedia storytelling as a powerful way to engage kids in deeper self directed learning. Laura Fleming: WORLDS OF LEARNING. ABC SLPASH AND LEARN! Videos, games and education resources for Australian students and teachers. There are some great articles here written by Christy Dena. The USC Annenberg Innovation Lab and the Joan Ganz Cooney Center produced "a much needed guidebook to transmedia in the lives of children age 5-11 and its applications to storytelling, play, and learning" called T is For Transmedia written by Becky Herr-Stephenson, Meryl Alper & Erin Reilly. 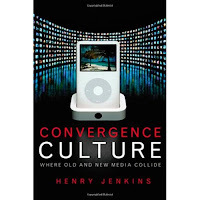 The introduction is written by Henry Jenkins (see links below). The Hunger Games case study for publishing nerds. web: Confessions of an Aca-Fan, The Official Weblog of Henry Jenkins. bio: Lance Weiler is a storyteller, entrepreneur and thought leader. An alumni of the Sundance Screenwriters Lab, he is recognized as a pioneer for the way he mixes storytelling and technology. WIRED magazine named him "one of 25 people helping to re-invent entertainment and change the face of Hollywood." He sits on two World Economic Forum steering committees: one focuses on the Future of Content Creation and the other examines the role of Digital Media in Shaping Culture & Governance. Lance teaches at Columbia University on the art, craft and business of storytelling in the 21st century. He is currently developing a number of film, television and gaming properties. web: Class teaches a class at Columbia called BUILDING STORYWORLDS. twitter bio: I advise on digital storytelling, trans/crossmedia @narrativenow,@pluscitydesign, & @cfcmedialab. 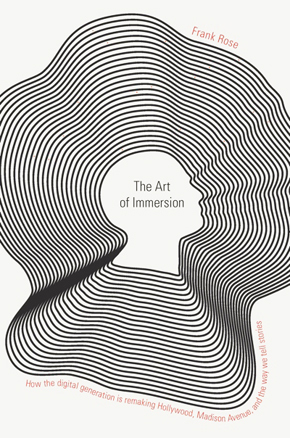 twitter bio: Author of The Art of Immersion. Writer and speaker on the impact of technology on entertainment, advertising, and society. Digital anthropologist. and the way we tell stories. 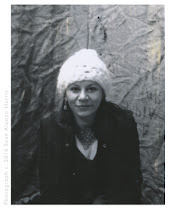 blog bio: Assistant Professor in the Faculty of Information, University of Toronto. PhD in Communication. Researcher of children's new media and literature; digital games and the intersection of play, technology and transmedia intertexts. twitter bio: CEO, Starlight Runner Entertainment. Creator and producer of storyworlds and transmedia entertainment franchises. twitter bio: Crossplatform/Transmedia producer, writer, strategist. 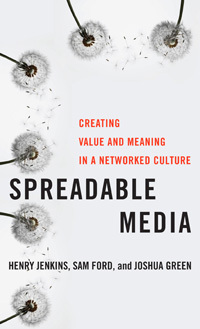 Novelist & PhD Transmedia Storytelling. StoryWorld Conference Chair. Online Community TEDx Transmedia. twitter bio: Storyteller, world builder, creative catalyst. Also, typing monkey. twitter bio: Content developer. Cross media, transmedia, social media, brand integration etc. Television, online, mobile.. and all combinations. At MediaCity Finland. CURATED TRANSMEDIA NEWS On Scoop.It! "Tracking Transmedia, Crossmedia, interactive & digital storytelling"
"Augmented locative stories, experiential transmedia games collaborative social TV"
"The art of telling stories over multiple platforms in a common storyworld"
"Transmedia Storytelling in children's publishing and digital literacy as social action"